I've been researching the N10Jc and this is an absolutely outstanding review with much better info than I've found elsewhere. The only thing it left me wondering was the N10Jc's performance when connected to an external display such as a large screen plasma or LCD TV via HDMI. Does it do video out at higher resolution than its own screen supports like at an XGA 1280x768? "We just wish we could get a 1280x800 LCD in there instead, as even at 1024x600 there's not a lot of real estate in Windows." A widescreen resolution may not be the best case scenario for a NETbook: most sites are desingned for 1024x768/800x600, even so i agree that this 1024x600 is deal breaker: what i want is 1024x768 and a better integrated graphicsby ATI or NVIDIA, not a discrete crao graphics for half battery life. Until that desing goes on sale i will not surf the netbook wave. I love the discrete GPU and that it's switchable. 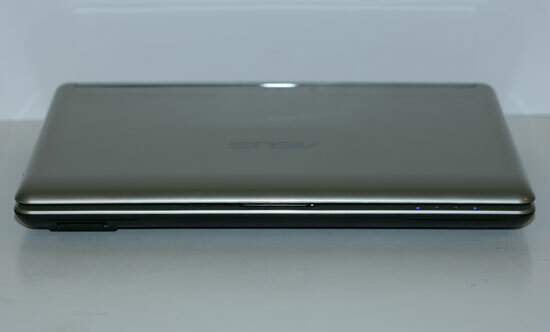 IMO the main limitation of netbooks and subnotebooks is the graphics, and I'm glad that ASUS is trying to fix this. The price point is reasonable, especially considering that ever $2000 subnotebooks don't have this. great review and i agree with the bottom line. i wanted to add a bit of my own experience. Random question: do we all thin this is a prequal/preview of the new nvidia chipset for atom? i bought the n10j from a egg for about 680 for my gf, and a scorpio black 7200rpm drive. with this setting on (1.73)the machine scored 1600 3dmark06 at native res which seems around 20% faster then the benches show here. with the setting on and geforce on, i was able to play downloaded 720p content just fine with ffdshow installed thru windows media player. 1080 did stutter and i did not try the powerdvd codec. i used newest nvidia drivers with mobility modder beta to install. i tried lef4dead which surprisingly auto detected high shaders and medium everything else which resulted in 12fps. by setting the game to low i got 20-40 fps. add bluetooth, wifi, digital audio out (rare), HDMI for video and audio,and this thing is just so so awesome.